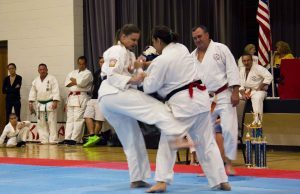 BELLEVILLE – Loyalist College student Mandy Quinn is pursuing her dream career by starting a karate class at Frankford Public School. The class, which will be available to people ages six and up, will teach members karate starting from a basic level, with training up to a black belt. The class is called World Yoshukai Karate, and will be held in the school gym. Quinn says she decided to get her karate instructor certificate after she started in Loyalist College’s Fitness and Health Promotion Program. Prior to that she had served in the military, but she decided to move back to her home in Frankford to study fitness and recreation. 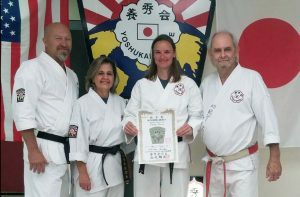 “I made a big life change, so I joined the fitness program, got my certificate, and decided I wanted to teach karate,” she said. After learning the basics of karate at age 12 in elementary school, Quinn said, she was hooked. Through training, Quinn reached a first-degree black belt, earning her the title of sensei, a martial-arts teacher. Karate is more than a defence technique; it is a form of art, she told QNet News. People can use karate to develop a wide range of skills, she said. Other skills she will teach in the new class are discipline, balance and patience. 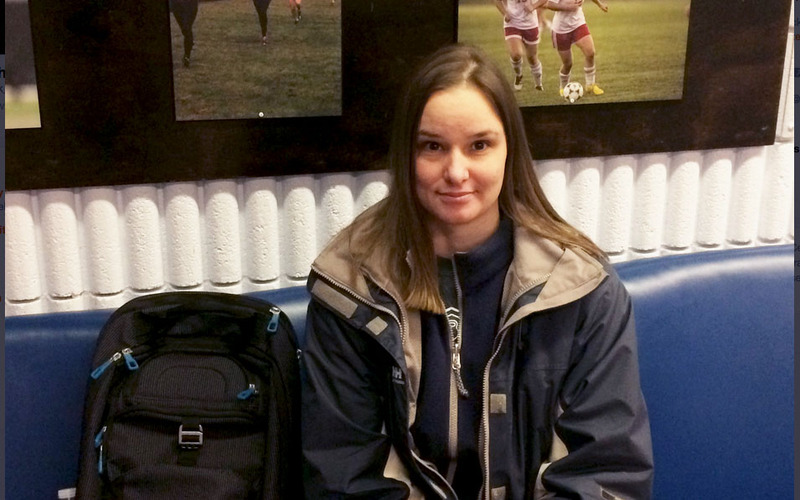 If the class is successful, Quinn said, she hopes to open her own space to teach karate. Quinn is holding an open house on Feb. 24 from 6 to 7 p.m. at the public school to provide information about the class. Frankford Public School is at 36 Adelaide St., Frankford.